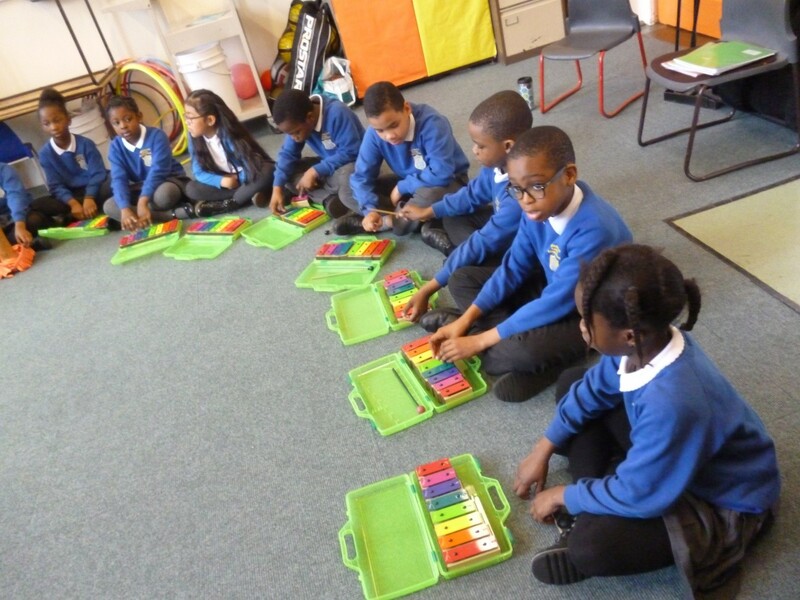 Music is a key part of English Martyrs’. 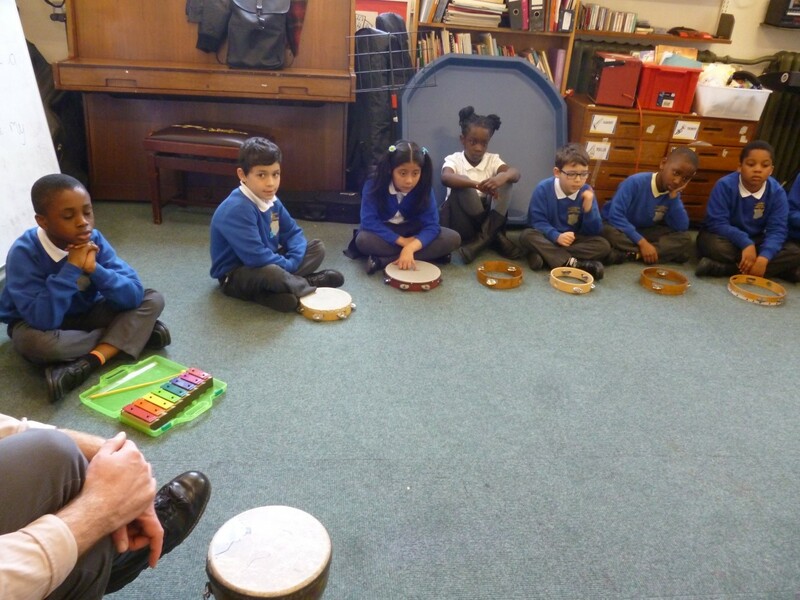 The children are exposed to a wide range of music through curriculum lessons, assemblies and masses. 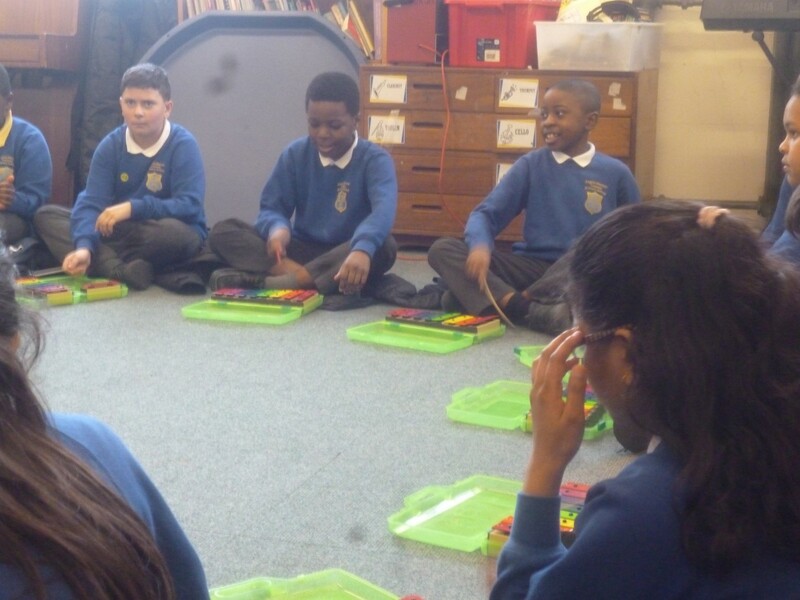 Each class has Music taught by their teacher once a week and throughout their time here will cover different World and European Music as well as having the chance to compose their own music based on books. 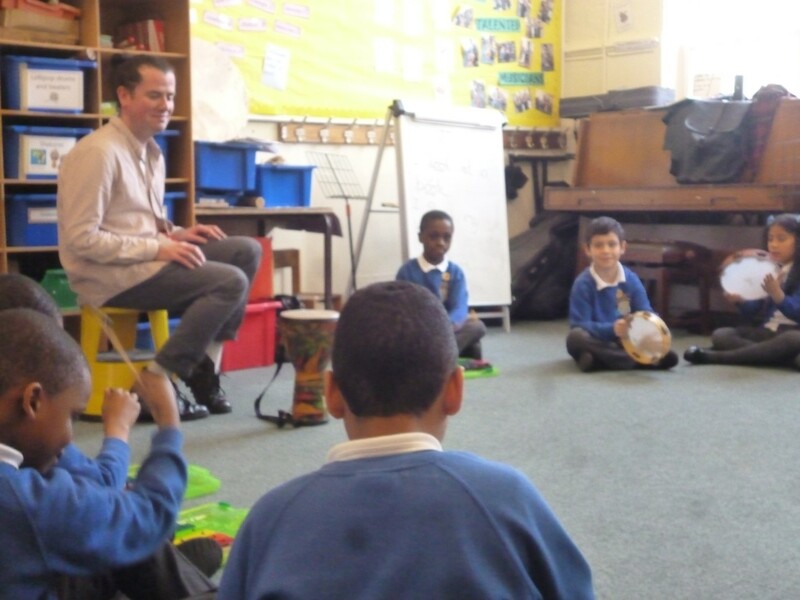 Children are able to explore different aspects of music through the voice and the orchestra. Staff have had training based on material from the Voices Foundation http://www.voices.org.uk/ and use their materials in some teaching. We have regular singing assemblies for all year groups where children practise hymns for Mass and learn new songs to encourage them to enjoy singing. 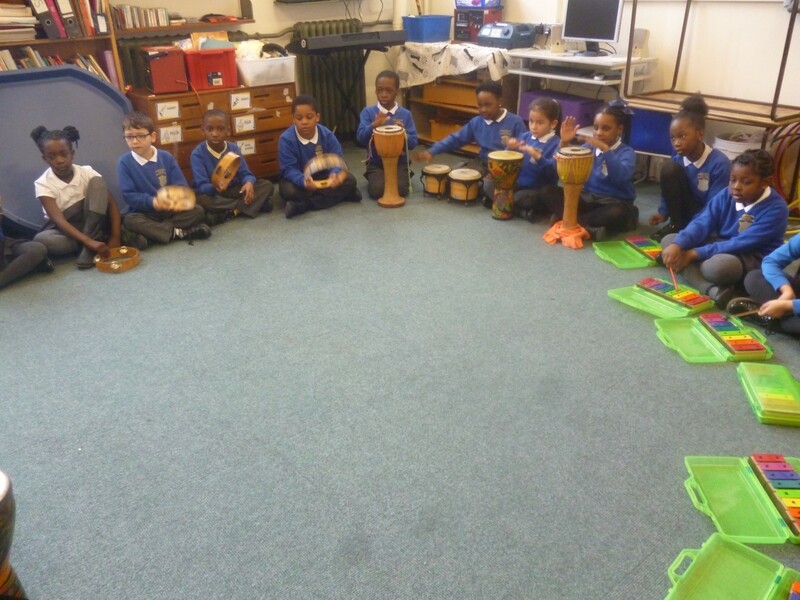 The school has a growing range of Music clubs, including Choir, Orchestra and Recorder which allow children to develop the skills of working together and improving their musical skills. 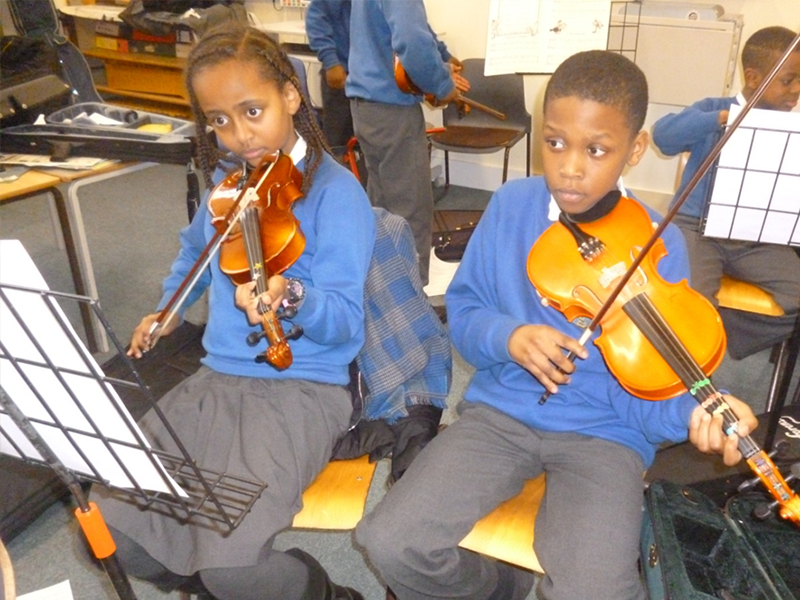 We also have the opportunity for children to learn the violin and ‘cello with a visiting teacher and we hope to expand the instruments offered for one-to-one lessons in the coming year. 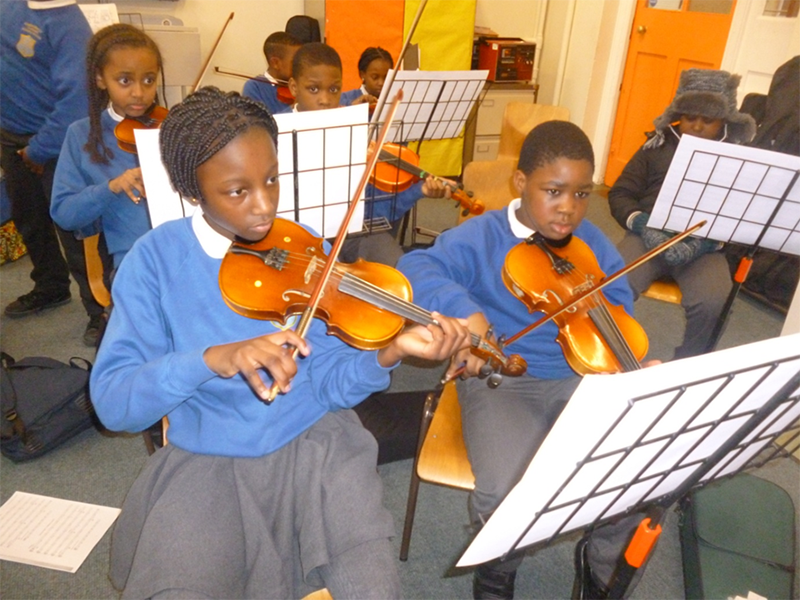 Children have the chance to take an ABRSM examination in their instrument. 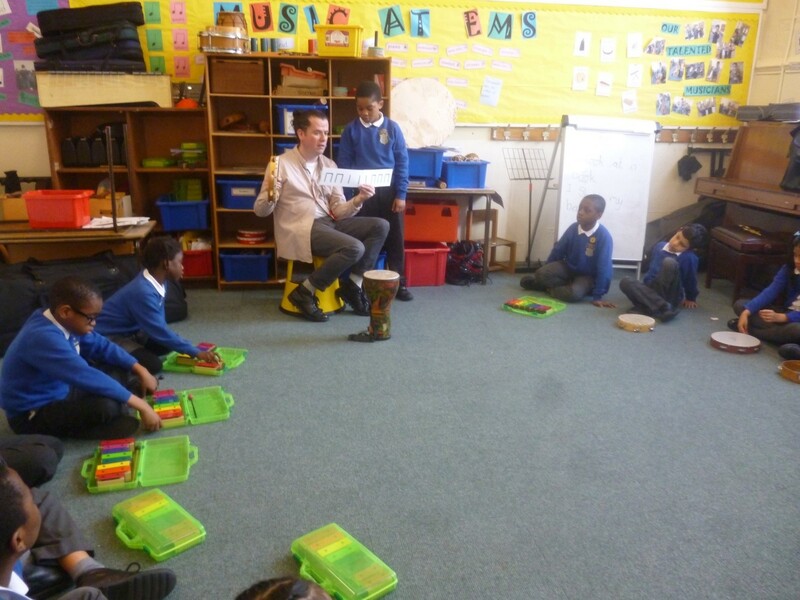 Please see http://gb.abrsm.org/en/home/ for more information. 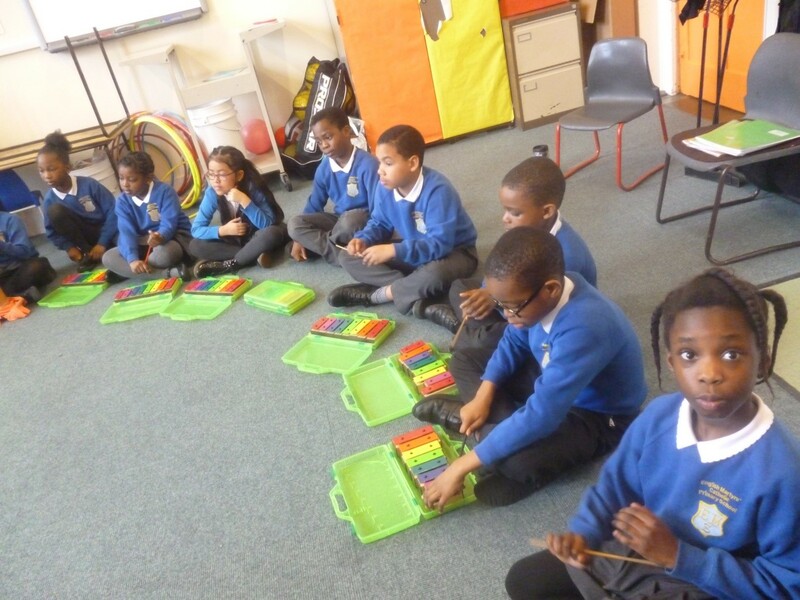 Year three children have been learning to play recorders. 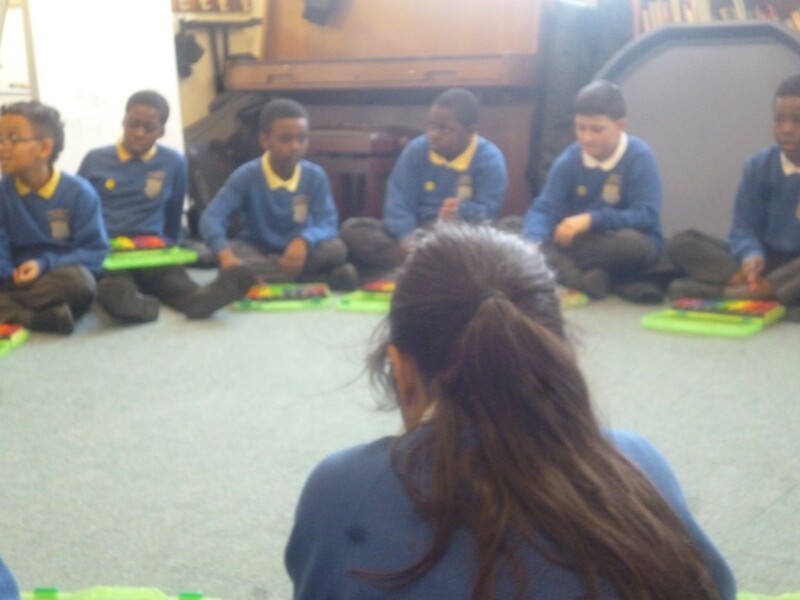 The children are learning different notes and tunes as well as how to place their fingers on the holes to make the correct notes and sounds. Key stage one performed their play ‘Rodney the Stable Rat’. The children worked very hard over the past few weeks for their performance. The show was well received by parents. All the children thoroughly enjoyed their acting and singing experience. It was an extravaganza! Please look at our exciting photographs. 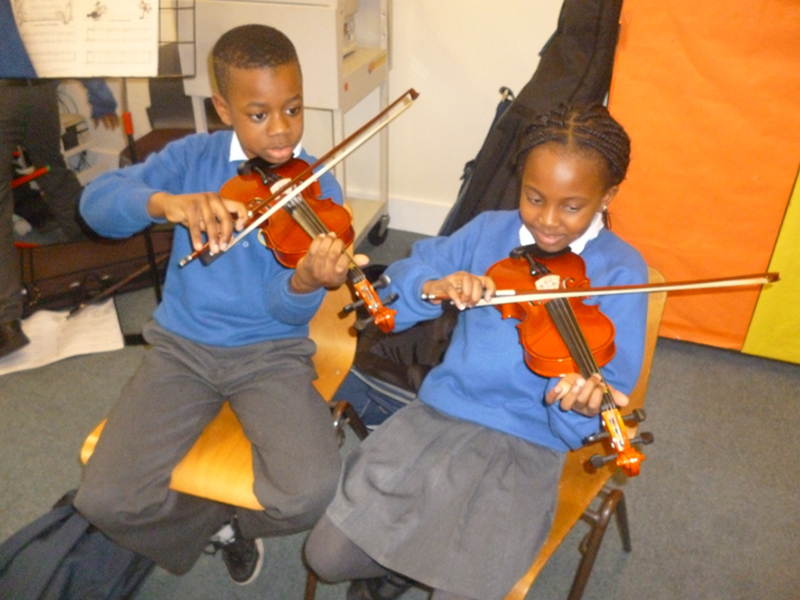 12 Selected pupils from Year 3 auditioned at the Royal Opera House on Tuesday 5th December. This was a fantastic opportunity for our pupils and very exciting for English Martyrs’. 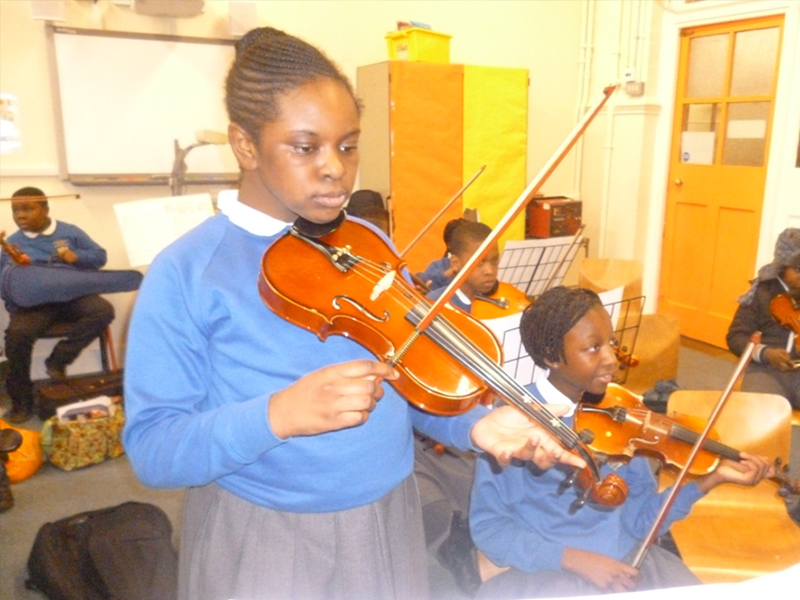 Last year the school was successful in obtaining 4 scholarships for pupils from the Royal Opera House. Please look at some of the photos taken during their practice sessions with specialist dancers from the Royal Opera House. 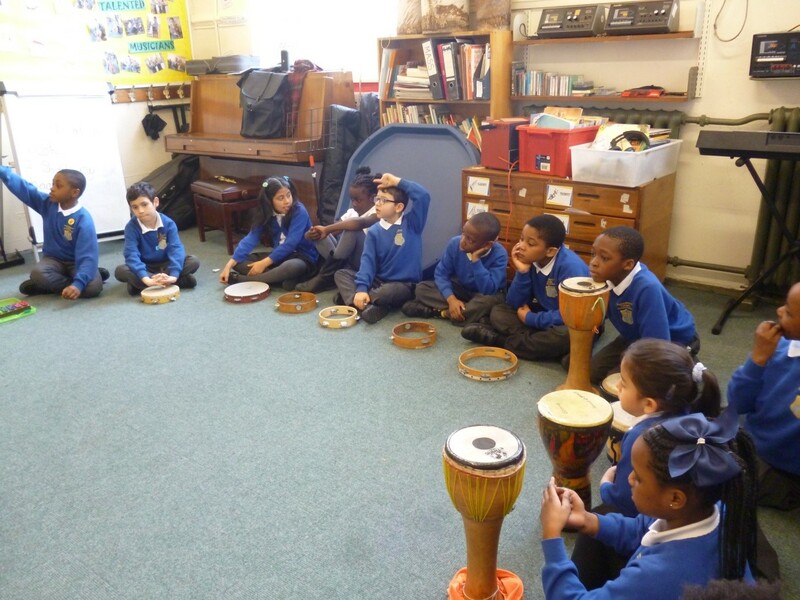 Year 6’s performance at the Royal Festival Hall, on Monday 3rd July for Southwark’s Music Service. It was a great evening, thank you to all the parents that attended. Please enjoy the video. 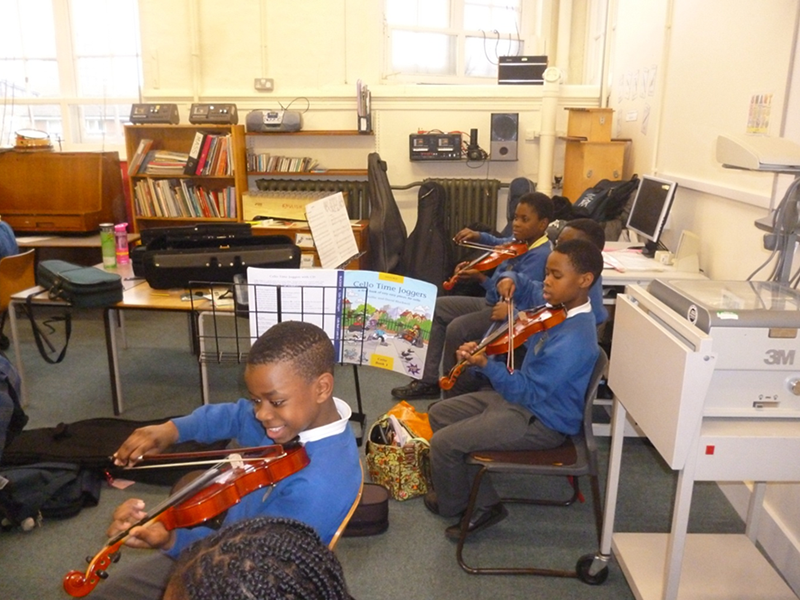 The school orchestra is rehearsing once a week and perfecting their playing skills for future performances. 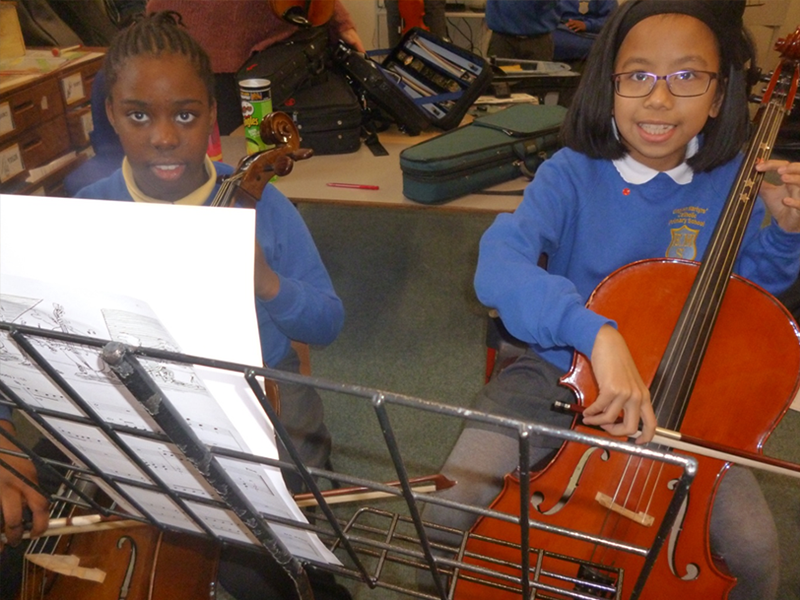 Children are also preparing for their ABRSM grade exams to be taken in the Spring and Summer terms. We wish them luck! At English Martyrs the choir are currently rehearsing songs for a performance at Wembley Arena in March. This is part of the Voices in a Million concert which raises awareness of fostered and adopted children in the UK. At English Martyrs’ we believe that making links with the wider community is important. As such, we have taken part in various community Music events, such as the Southwark Catholic Schools’ Christmas Concert which took place at Sacred Heart Church in Camberwell. Year 4 and Year 5 members of the Choir were also given the opportunity to be part of a fantastic huge event called Voices in a Million, who came together with thousands of other schools to sign at Wembley Stadium. Year 6 are attending the Splash! project by Southwark, and will be at the Royal Festival Hall on Monday 3rd July. This will be an amazing performance, singing with other schools. Last year’s performance was fantastic, and parents and children alike really enjoyed themselves. This is the show from last year. Please support your child, and have a night to remember! Tickets available for only £2 through the school. Since Easter we have been learning some new hymns to sing in church. We are enjoying singing a mixture of traditional British hymns and some more modern worship music. Every week when we go to Mass, members of the congregation and the priests tell us how much they enjoy our singing. In June, the whole school celebrated the Queen’s birthday at English Martyrs’. As well as lots of other activities, pupils learnt to sing the National Anthem and Land of Hope and Glory. We talked about what the words mean and how this music was written to unite our country together. See our Gallery for some photographs. 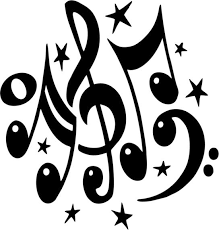 If you would like to find out any more information about Music at EMS please contact the office and ask to make an appointment with Miss Dellar, the Music Co-ordinator. 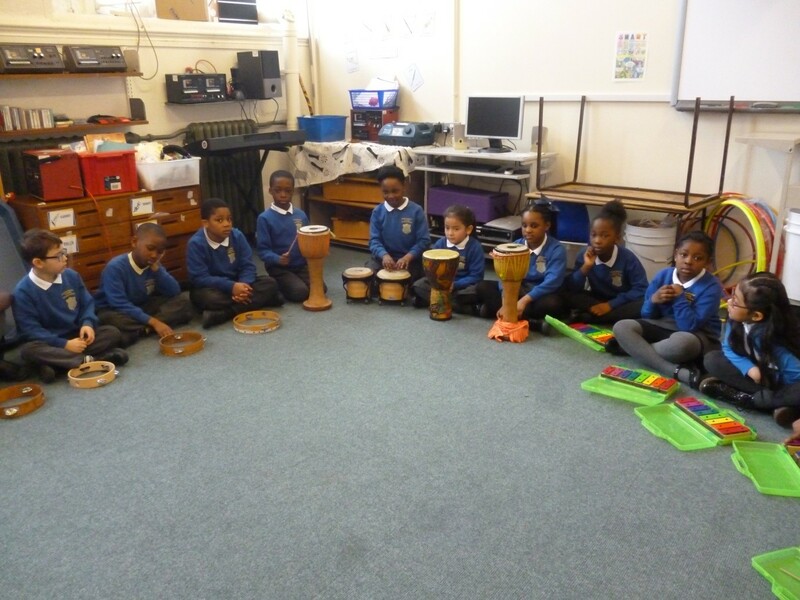 There are also opportunities for children to be involved in music in the local area which are available through Southwark. Please see http://www.southwarkmusicservice.org.uk/ for more information. Ms Della’s choir performed brilliantly at Voices in a Million concert at the iconic Wembley Arena on Wednesday 8th March. They sang and danced with lots of energy and really enjoyed the amazing experience of performing in such a famous venue. Well done to all of them and thank you to the parents who came to watch and support your children. Photos are available to view on our Newsroom Photo Gallery. We are delighted to announce that we have renewed our contract with the Royal Opera House via its Chance to Dance programme. 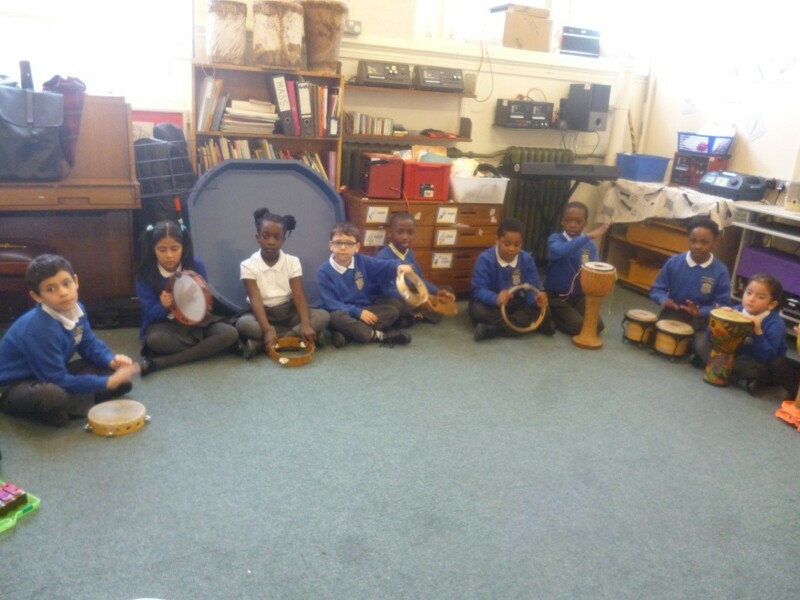 All of our Year 3 children are given the opportunity to see, participate in and enjoy dance through demonstrations and in-school practical workshops. This programme is fantastic as it develops the childrens’ self-confidence, creativity and self-discipline through ballet-based dance activities. 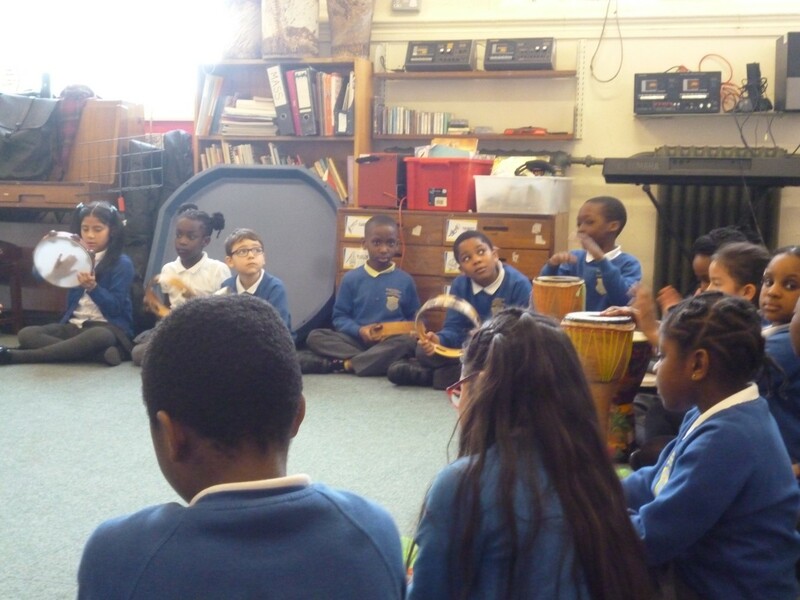 The company also gives the children an opportunity to perform at the Royal Opera House. We also attach a link to the ROH website which is both fun and informative. Here is some of our children showcasing their ballet skills.